Freezers are a miracle of convenience. You can buy products like meat and fruit when they are fresh and on sale, and save them for days when things are not as cheap or readily available. But when you buy a large amount of food for freezing, chances are you will not want or need to use it all at once. Defrosting a large package of ground beef just so you can split off the pound you need and refreezing the rest degrades the quality. Simple. Freeze smaller portion sizes. This is a brilliant trick. How many times have you purchased pounds of ground beef and frozen it on a single hunk, only to find that when you needed it again, you only need enough for a couple of burgers? 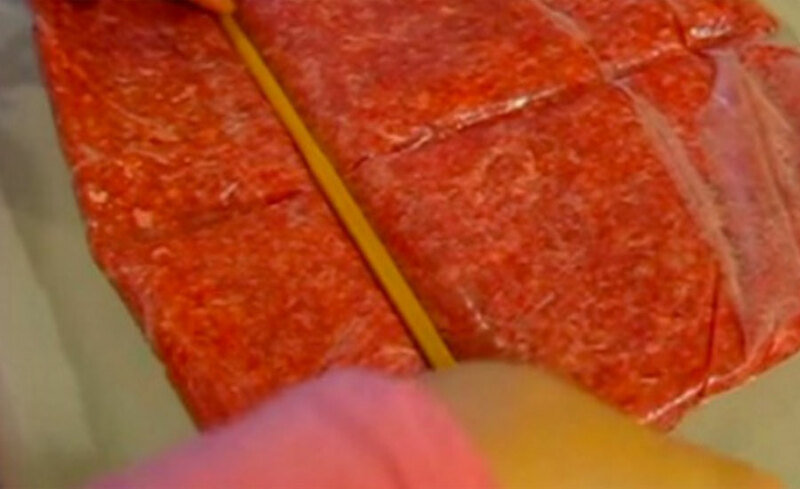 By flattening the ground meat in a bag and marking off sections, you can break off only what you need without defrosting the whole thing. Smart!